The single wall mounted ball locker is a perfect addition to any gymnasium, it will cut down on the caos of having balls loosely lying on the floor. Keep things neat with a wall ball locker. 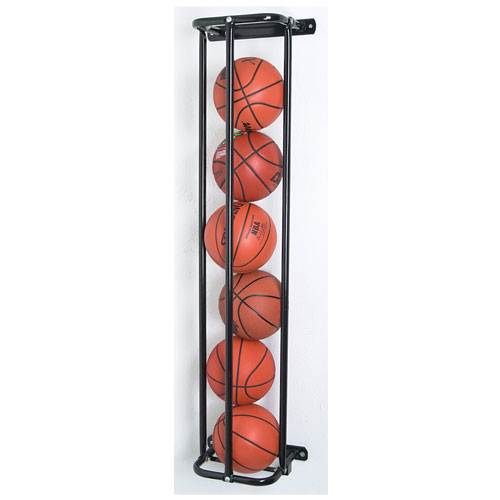 Keep schools, rec centers and gyms clutter free with this Wall-Mounted Ball Locker, which holds basketballs or volleyballs before and after practice or a game or match. This locker stands up to repeated use with its black powder-coat finish and steel tubing construction that resists wear and tear. Make sure the balls are secure until it's time for class, practice or recess with this locker that permanently mounts to the gym wall to save space and ensure equipment is readily available.